Please, refer to SSL Configuration Testing to test the current level of SSL Configuration. Windows Server 2016 and higher already has SSL configuration that satisfies current security regulations (for example, SSL v2 and SSL v3 are disabled). 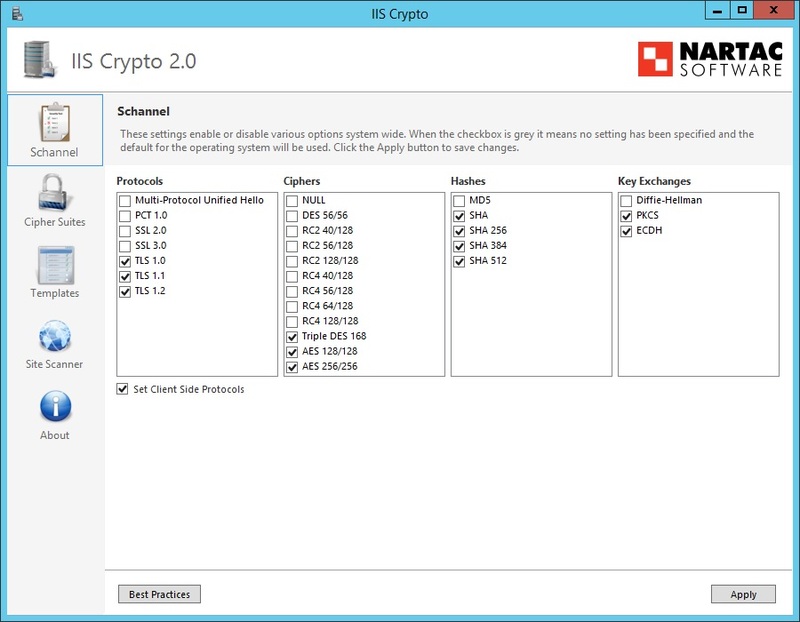 We are usually using the IIS Crypto tool that provides GUI to disable weak ciphers and legacy protocols. It allows us to avoid dangerous manual work with windows registry. Using SSLLabs Test Tool tips and functionality of this tool allows quickly secure SSL/TLS in Windows.